November is one of the most stressful months of the year. As we prepare for the Holiday Season, we sometimes become overwhelmed. The November Laser Coaching Special is designed to help you work through a specific issue that may be causing you to stress about the holidays. I know your time is precious and your first thought may be: I don’t have time to add one more thing to my plate. Laser coaching is a one-time, short, powerful 45 minute phone call. The next thought is likely: I can’t afford the luxury of coaching right now. Would you be interested in a 50% discount? My November Laser Coaching Special is priced at $65.00; yes this is a Black Friday Sale all month long! Sign-up for your November Laser Session if you are: stressed or struggling with the upcoming Holiday Season; if you are curious about coaching, if you want to experience the coaching process. 	Create a practical action plan to fulfill your vision. Sessions available week-days; week-ends; evenings – – – let’s make this as easy as possible! If you are looking for an amazing mastermind group to support your business growth and development and to connect with local women in business – – this just may be the group for you! We meet every 4th Friday to brew-up some great support and offer SOLUTIONS to your business concerns! The cost is 90 minutes of your time, a bit of energy to support the group and a minimal purchase (or $5.00 donation) to support our host at Her Story Cafe. The benefits…..synergistic support and commitment toward your success! 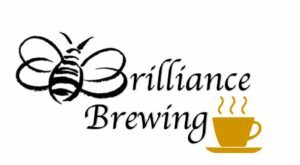 Register today and join us as we Brew-up you Brilliance! Say Yes to Less this holiday! Put your Energy into what is Important, not what is Routine. Have the Holiday Season You’ve Always Wanted Without the New Year Over Indulging and Exhaustion “Hangover”. Monica Griffith MAOL, PCC, and Stevie Winsborrow, BA, NDTR, LMT, invite you to join in this fun and interactive workshop. Allow us to provide tips and tools as you create an extraordinary Holiday Season. 	Laugh Yoga – right from your chair! Treat Yourself – after all…Why should kids have all the Holiday Fun? Eventbrite: Say Yes to Less! Welcome to the Discover Your Inner Strength Workshop! New to the idea of coaching? This workshop walks you through the discovery process of becoming your very best. DYIS workshop provides you with thought provoking exercises and group discussions. You will realize support as you discover tools and techniques to clearly define your individual goals and create action plans that will allow you to thrive in the life you’ve always dreamed of having. DYIS Workshop welcomes individuals ready for a personal or professional breakthrough; looking to ‘overcome overwhelm’; searching to live life with clarity, focus, ease and grace. You want to have a better life; you don’t have a clearly defined vision. That’s like driving in the fog! You have no idea where you’re going – or what lies ahead. What would it be like for you to burn off that fog and take off in your life with clarity, focus, ease and grace? Join the DIYS workshop and let us help you lift-off! Group Coaching and Workshops Coming Your Way!! Small Group Coaching sessions are engaging, inspiring & filled with support! Boomer Group – Geared toward the Baby Boomer’s challenges and concerns – we aren’t Babies anymore! Don’t let another year pass you by without giving it your all & going for your best life yet. 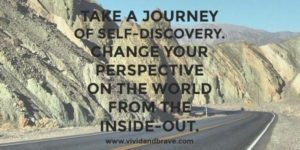 Discover Your Inner Strength Workshop – New to the idea of coaching? Coaching Champions – Teams in a work environment – the Champions of business. Building communication, team, engagement and driving results. Would it be okay with you if life got easier? When we talk about groups, we are talking about people who come together with a common interest but may not have the same goal in mind. The intention is to maximize the combined energy, experience, wisdom, and insights of all individuals involved. Through thought provoking exercises and group discussions, you will begin to define your goals and create action plans that will allow you to achieve the life you’ve always dreamed of having. 1. You hold the focus on your goals with the help of me as your coach. 2. You surround yourself with others facing similar challenges. 3. You learn new goal-setting, action planning, stress management and other techniques. 4. You gain motivation from coaching and group support. 5. 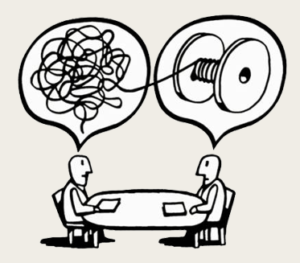 You brainstorm solutions in a group environment. 6. You celebrate your successes with a supportive team. 7. You create accountability so your to-do’s get done. 8. You benefit from the perspective of others. 9. You tap into my extensive resources and those of your team. 10. You hire your own coach at an affordable fee. Groups and workshop will be limited in size to create the best interactive support for you! 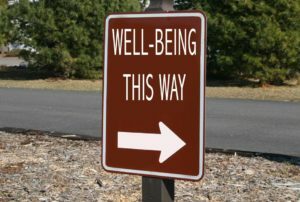 What would it be like to treat yourself; to invest 4 sweet hours to nourish your body, mind & spirit? Monica Griffith MAOL, PCC and Stevie Winsborrow, BA, NDTR, LMT invite you to join like-minded women as we depart from the overwhelm and stress of your hectic days; shift the focus of your attention to YOUR wellbeing; reenergize your purpose; acknowledge your contributions. Would that be okay with you? Monica will help you design a blueprint to live a life of clarity, focus, ease and grace. 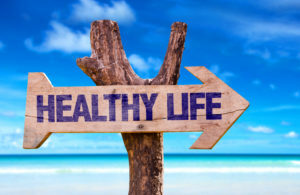 Stevie will guide you through the 5 pillars of good health to help you reach those blueprint goals. Join us on Saturday, May 20, 2017. The seminar will be held in the Community Room at the East Library (5550 N Union Blvd). Sign-in and light refreshments begin at 10:30 am; program 11:00 am-3:00 pm. We promise, this will be a Saturday you will cherish! In order to provide our guests with the attention they deserve, we are limiting the participation. Pre registration is required. The first 5 ladies who register will receive a complimentary 5 minute chair massage by Stevie! Take advantage of this opportunity to take care of YOU! Secure your spot today as space is limited! The retreat will be held in the peaceful and serene Center for Powerful Living. Join us on Saturday, April 8, 2017. Sign-in and refreshments begins at 9:30am; program 10am-2pm. We promise, this will be a Saturday you will cherish! Your investment? 1/2 day and $60! We know you are worth it. In order to provide our guests with the attention they deserve and with consideration to the insightful nature of this retreat, we are limiting the participation. Pre registration is required at www.eventbrite.com. The first 5 ladies to purchase their retreat ticket will receive additional pampering: a FREE chair massage during the event! ALL participants will be entered to win door prizes! The holiday season is suppose to be joyful – filled with bright lights, carolers, giving, church, laughter and a lot of food! Sometimes, for some folks, this is not the case. 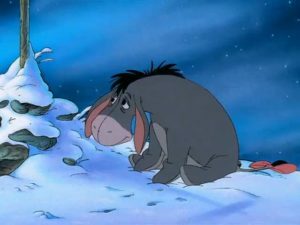 Are you experiencing a bit of Holiday blues? Are you feeling the pressure of crowds, finances, commitments? Did you have a life changing event this year — and this is the first holiday that is ‘different’? What would it be like for you, to complete this Holiday Season with clarity, focus, ease and grace? Are you are willing to invest 90 minutes of energy to achieve a lighter and more fulfilling Holiday? All webinars are complimentary – Coach Monica’s ‘pay it forward’ seasonal gift to you! Won’t you invest time and energy for yourself, this holiday? Trust me, YOU’RE WORTH IT! Let me know which date works for you – I’ll email the link and instructions for signing on. I look forward to supporting you in a peaceful and grateful holiday season. Just click on ‘Let’s Connect’ and you will easily email connect with me! Life Coach for a Stress-Free Holiday Season – Create a Season of Simplicity! We invite you to join in this interactive seminar designed to help you to create the Holiday Season you’ve always wanted and avoid the New Year spending and exhaustion hangover! Monica and Jean will give you tools, tips and skills to approach and move through the holidays (and every day!) with clarity, focus, ease and gratitude. Call Mt Carmel Center of Excellence today (719) 309-4714 and let them know to make your reservation for this event! Join Monica J Griffith, Life and Leadership Coach, for a 5 session ‘Solution Circle’ based on John C Maxwell’s world renown book Everyone Communicates, Few Connect: What The Most Effective People Do Differently. 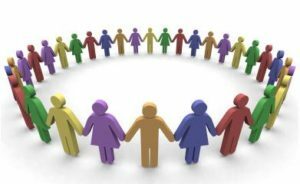 What is a ‘Solution Circle’? This is an opportunity to connect with like minded individuals and professionals, to grow in skills and enhance your learning. Our very interactive circle provides a safe space for you to create optimum solutions to what may be getting in the way of the next level of your success! 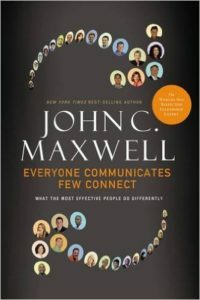 In the Communicates series, your role is weekly readings from Maxwell’s book and to come to our Circle prepared to share, listen, learn and contribute! Our circle will engage in lively interactive conversation to learn and apply these principles your personal, professional, and family relationships―and you can start now by enrolling in our Solutions Circle! 5 Circles – each from 6:30 – 8:30 p.m.
Where else can you get 10 hours with a Life & Professional Coach & group discussion for $34.37 a week? John’s book is included in the enrollment fee and will be distributed on 7/20 – – if you would like to get a head start on the reading, arrangements can be made for early pick up! In order to create space for everyone to maximize the learning and sharing, we are limiting our circle to 15 participants – so enroll today to claim your space! To enroll or for more information, please call 719-203-5928. If Money were Not an Issue, What Would You be Doing with Your Life? Tuesday, March 8, 2016, 9:30 – 10:30 a.m.
Join Life and Leadership Coach, Monica J Griffith, for a one – hour coffee talk. Look, See, Tell the Truth, Take Authentic Action! Join this dynamic and interactive conversation – you will leave with a game-plan! The coffee talk is free; however, we would appreciate it if you would support the folks at IHOP with a modest purchase.